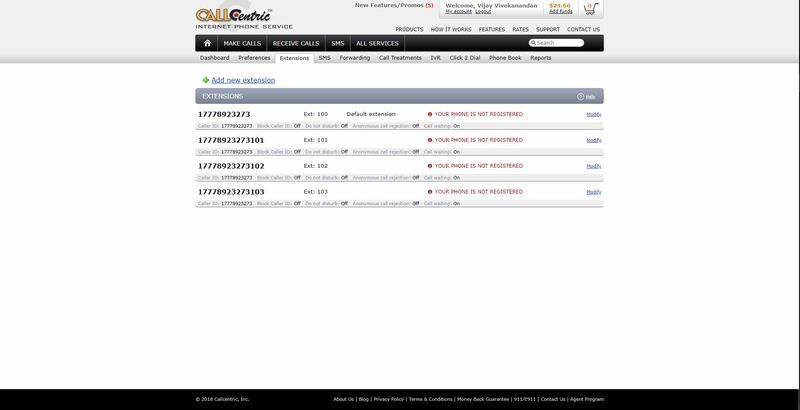 Start by creating an account with CallCentric with the following link https://www.callcentric.com/login/. 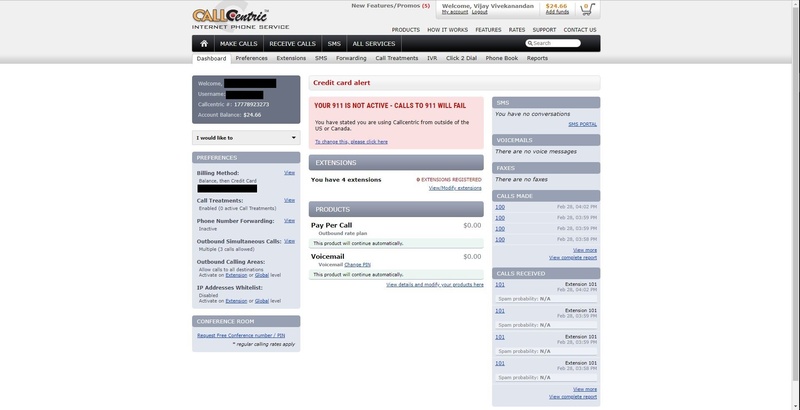 CallCentric enables internet calling for free, perfect for testing purposes. For external calling, various outbound calling plans are available. 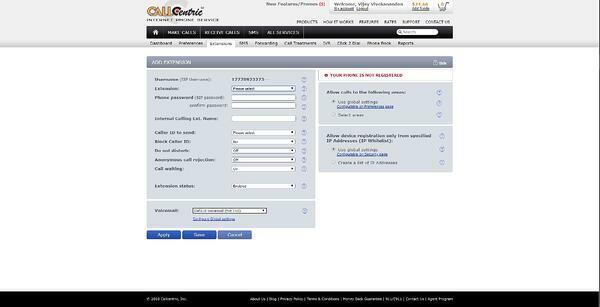 Log into CallCentric, you would be greeted with the Dashboard screen below. From there, navigate to the “Extensions” tab. Here, add extension lines which will be assigned to users. Keep this tab open! Information in the images below will be used in later steps. Navigate to the “Voice” tab and select the "Add Voice" button. 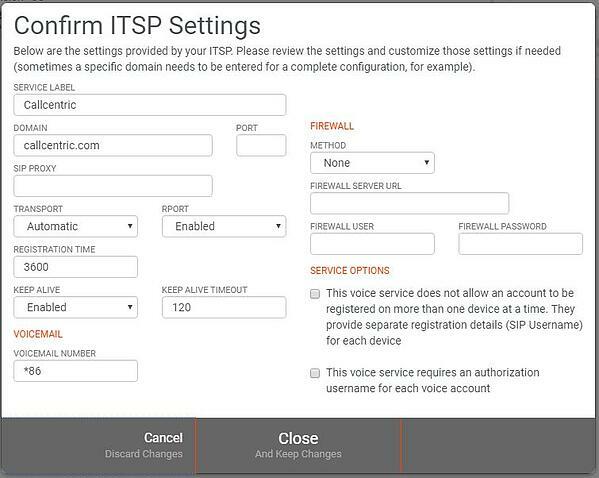 You can configure manually, but if you are setting up voice with an integrated partner like CallCentric, all voice settings are pre-configured along with the SIP domain. Simply select CallCentric as your voice provider and save with the pre-configured settings. Click on the “User” tab and select the "Add User" button. Here, you will need to create users identified by emails and assign them the SIP extension lines you have set in CallCentric Extensions tab (Step 2). When a user is added, an email invitation will be sent. 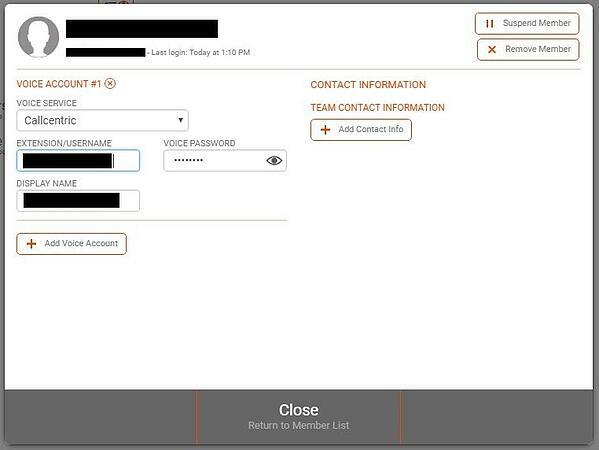 They will access a personal Bria Teams User Portal where they can set their login password and preferred contact information. Download links to Bria Teams will be available in both the portal and the initial invitation email.